Have you noticed something confusing about this Dirk character? If you search his name on the internets or LinkedIN he’s absent, yet he claims to be a 25-year veteran of the picture mines? His (My) sinister plan is working perfectly … just pretend the $ is an S and I’ll (he’ll) explain. S. Dirk Schafer is also $tephen $chafer, Dirk is his (my) real middle name. Here’s the deal, Dirk is doing a social media blitz for this Don’t Shoot book which is aimed at photographers. And his CLICKittyCAT.com photo cartoon has thousands of photographer followers too. Now photographers are great but they aren’t paying my rent. 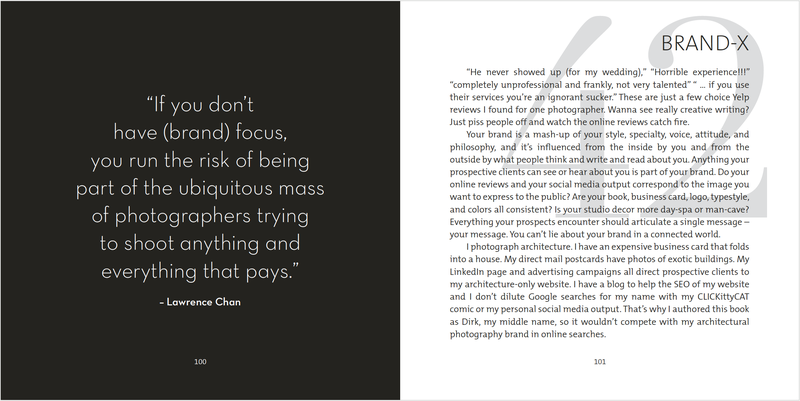 On the other hand, $tephen $chafer has spent years building a brand, doing SEO and crafting a direct mail presence as an architectural photographer specializing in HAB$ documentations. All that “branding” means that if you were a architectural hi$torian (my clients) and you needed a photographer and you searched for a photographer to do HAB$ photographs hopefully you’d find $chaf Ph0t0 $tudios somewhere on the top of the internet heap. Does $tephen want his potential clients clicking on a snarky book? Or a random cat comic? No, he wants his clients to end up on his architectural photography website here. He wants his brand message of a “photographer specializing in hi$toric architecture” to compel them to pick up the phone and call. So that’s why Dirk wrote the book and $tephen photographs the architecture. The only place the two guys hang out together is my About.me page. I may be overthinking it but if we ever meet you can just call me Schaf.